Feminist.com was founded in 1995, as a few women and I gathered around the kitchen table in my New York City apartment. The web was pretty new back then, and we wanted to tap into its amazing power to offer people around the world access to information about human rights, women's issues, health, anti-violence resources, grassroots activism, women's businesses, and pretty much anything that could possibly support a world where men and women are allied, empowered and equal. Over 15 years later, we're proud to be what Gloria Steinem dubbed "the folks who put the dot-com in feminism." (In fact, I was honored to share a special evening with longtime supporters Gloria Steinem and Eve Ensler at our 15-year anniversary celebration. Click here to check out pictures from the event, along with Gloria and Eve's inspiring speeches.) And stay tuned for news about a special 20 year anniversary celebration we have planned for later this year! Our website, as you can see, is constantly growing--with new columns, contributors, and even spinoff sites such as Our Inner Lives. In 2010, my column "Inspiring Conversations" spun off into a book, Daring To Be Ourselves: Influential Women Share Insights on Courage, Happiness and Finding Your Own Voice. We invite you to buy a copy for yourself, or for an important girl or woman in your life! 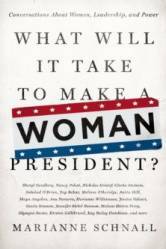 I also have a new book out, What Will It Take to Make a Woman President? Conversations About Women, Leadership and Power. Visit our What Will It Take? 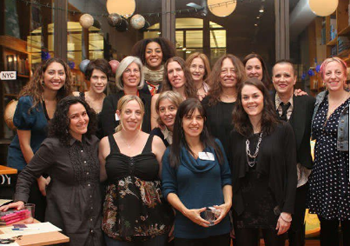 section for video from launch events and news about our Women's Leadership initiative. As an outgrowth of our Salon on the State of Feminism hosted by Gloria Steinem, we are also proud to announce our FemSalon Series spotlighting timely themes, featuring dynamic speakers, and serving as fundraisers to support the work of Feminist.com. Visit our FemSalon Series section for photos, video and announcements about upcoming salons! Whether you're a student who stumbles upon our site while researching a term paper, a veteran feminist who proudly identifies with the "f-word," or someone curious about the vast ways that women's issues intersect with every other part of life, we welcome you and hope you find great value from visiting Feminist.com.